They say that support comes in at just the right times and when you’re really backed into a corner, that you’ll find out who’s on your side. I have to say that over the past month or so, John and I have absolutely found that to be true. A lot has been going on. Between preparing for the upcoming move, John completing coursework, Lucas’s new speech therapy regimen, an injury and a few things going on in the health arena, life has seemed crazy. The thing that has surprised me most is that, through it all, the support we’ve faced around every corner has been amazing. To those that have listened, have stepped up to watch the kids, have reached out via whatever means possible and who’ve partnered with us through it all, I just wanted to send a quick note of thanks. I don’t think you understand how amazing those pillars of strength that surround you are until you’re forced to lean on them! This time has also forced us to focus on the basics and on what really matters: family, building memories and experiencing everything life has to offer. I’m happy to report that we’ve been taking full advantage! Just wanted to share a few pictures from lately! Colin has recently become obsessed with superheros. The best part is? His superheros are normal people…grown ups! 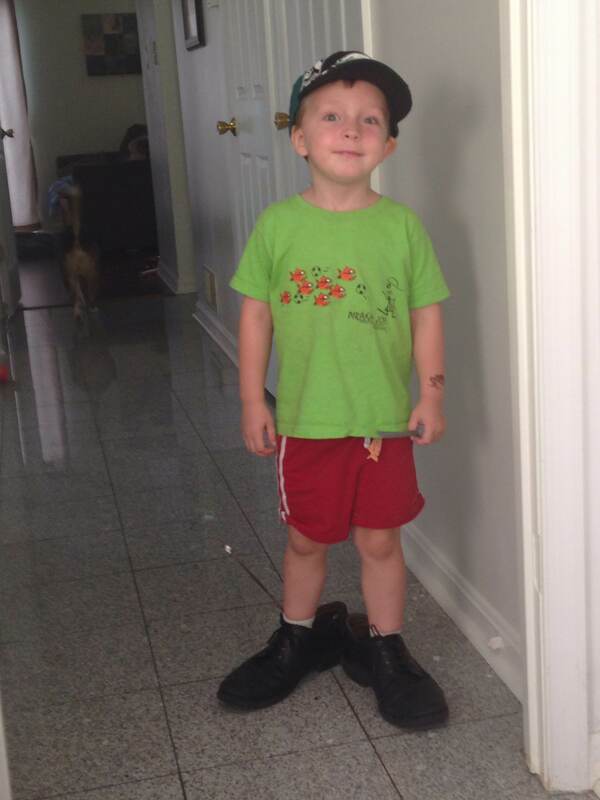 Here he is in one of his “costumes.” Love this imagination! Lucas on the other hand has honed his ability to get into EVERYTHING. 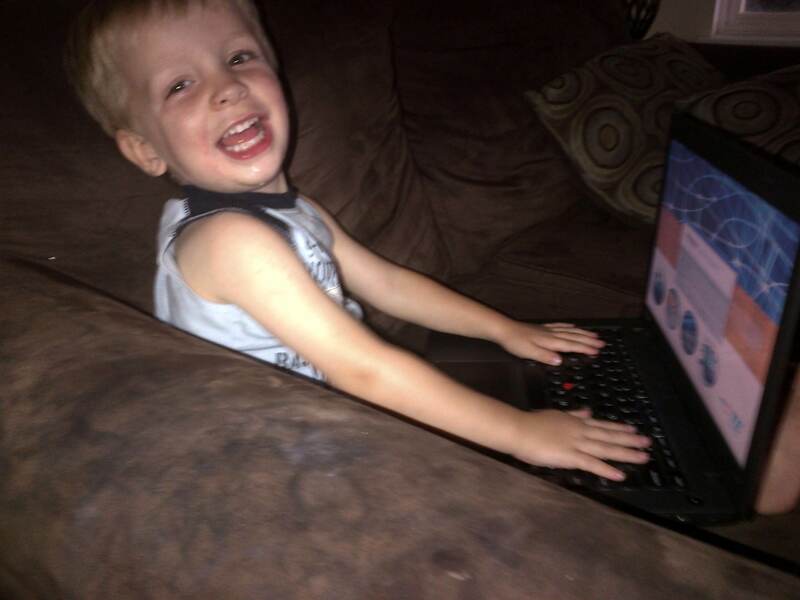 This is him…super proud after he opened and turned on his Daddy’s computer that was off! Lately, we’ve learned a lot about slowing down and enjoying everything around us. 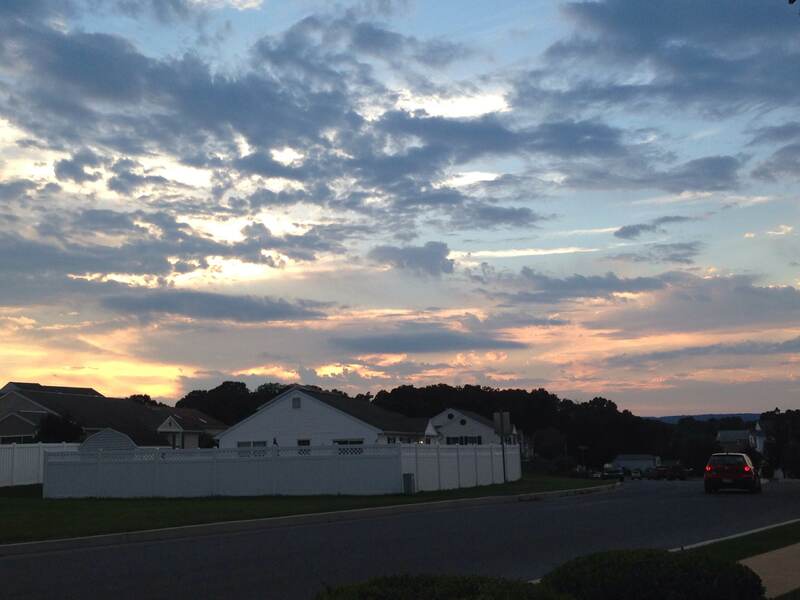 Last night we were able to enjoy some beauty outside…it doesn’t get much better than this. Sometimes when life forces you to slow down, the best things in the world can result. I’m grateful for being given this opportunity. I’m thankful for all of you who have stepped up and stepped in to keep us moving forward. And, I’m thankful for those of you who have been reading along on this journey of ours. The term “blessed” has taken on a whole new meaning…and I’m learning to love every part of it!